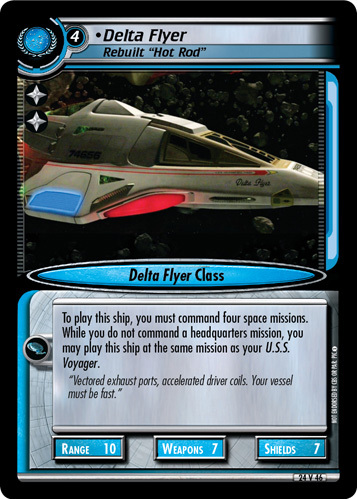 This ship is attributes +1 for each of your Region: Demilitarized Zone missions. 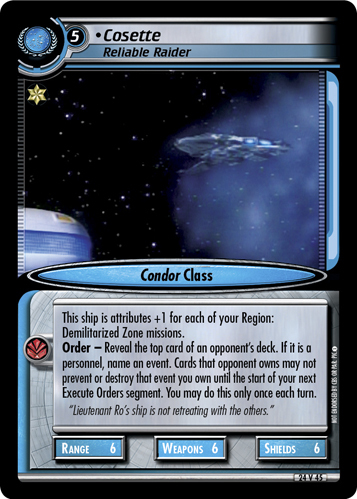 Order - Reveal the top card of an opponent's deck. If it is a personnel, name an event. 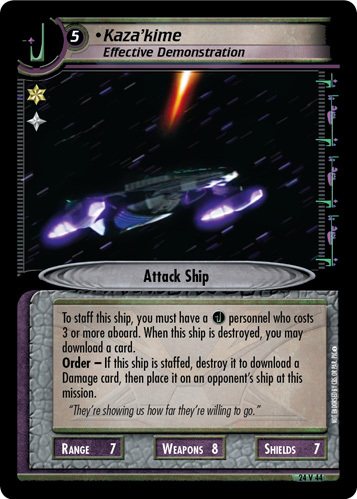 Cards that opponent owns may not prevent or destroy that event you own until the start of your next Execute Orders segment. You may do this only once each turn. 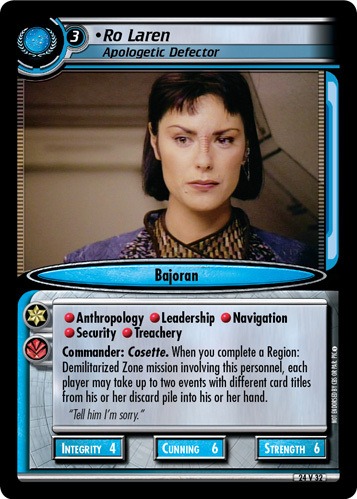 "Lieutenant Ro's ship is not retreating with the others."